Despite his county furnishing him with free gym membership, Samit Patel has missed out on his second sucessive England selection for reasons of fitness. The “bouncing all-rounder from Nottinghamshire”, as the Independent describes him today, has again failed to meet the ECB’s standards. Geoff Miller has said that there are “various measurements we go by”, and less charitable souls may wish to speculate as to whether waist, chest and pie consumption are some of the measurements involved. On a serious note, Patel’s inability to attain the standards that the rest of the World Twenty20 squad has met may suggest a problem. Either there is some obstacle preventing him from reaching the required level of fitness, or his commitment to international cricket isn’t as strong as it might be. Neither is a particularly encouraging prospect. Cricket isn’t the sport it used to be. 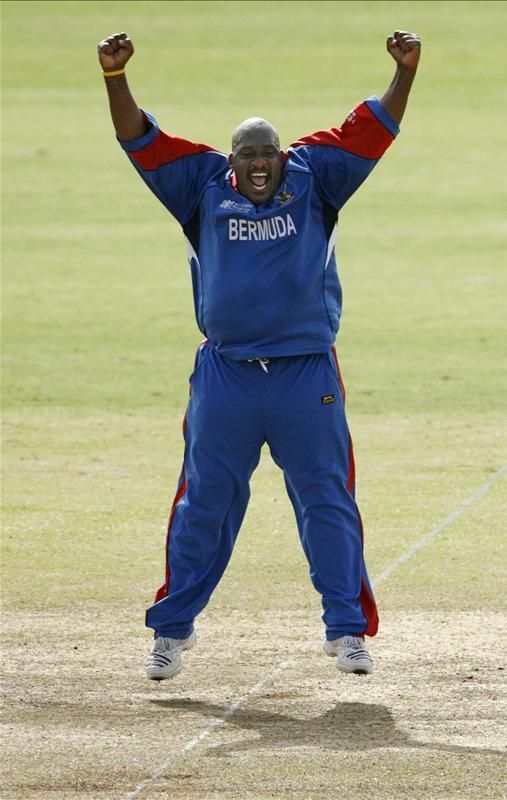 Time was, even the most portly of players could find a place in most international sides (and judging by Jesse Ryder and Dwayne Leverock, many still can), and even chain-smokers were thought to have sufficient physical conditioning to bowl for England . No longer – it seems it’s no longer OK to be an unfit cricketer. Samit Patel has been dropped by England for the forthcoming One Day matches against the West Indies, owing to ‘unsatisfactory fitness‘. Where does this leave Rob Key? Joking aside (Key has actually slimmed down considerably since his, ahem, peak), the modern game – especially in its limited-overs variants – makes physical demands of players which were never made of the likes of Gatting or Grace, and there should probably be a minimum fitness requirement, even for spin bowlers. I hope that this doesn’t herald the end of overweight international cricketers, though. In these difficult times, cricket fans everywhere are in need of a few players with the ‘XXL-factor’. Failing that, I’ll settle for someone who makes the gulf in class between my own pathetic attempts at cricket and the real thing seem just a little less than it actually is. How else can I rationalise my dreams of taking the wicket that clinches the Ashes, or knocking off the winning runs in the World Cup final? Yuvraj Singh, whilst “so drowsy that he might have been inadvertently dosed up with valium rather than painkillers” for his knacked back, has recommended that England send in Monty Panesar. Is this the drugs talking? Or should the Sikh of Tweak have been included for the One Day Series against India? Samit Patel’s performances against South Africa elevated him to England’s main ODI spinner, and Graeme Swann also seems to be higher up the limited overs pecking order than Monty. Certainly, Panesar’s lack of development recently is a cause for concern, but if even the home side are expressing surprise at his absence, then maybe there’s a case for his inclusion. Having said that, England’s awfulness in the first ODI transcended the personnel, and any change in the team is unlikely to restore the confidence that may have been lost in England’s recent misadventures. England’s touring squad for India, named later than planned but still unnecessarily early, does not include Adil Rashid. Instead, Graeme Swann has been selected. Leaving aside the question of whether Rashid needs the experience or not (he’ll still get some, with the Performance Squad touring too), the choice should have been based on which spinners were more likely to take wickets. Panesar, despite some poor form recently, was always a near-certainty to be selected, so it came down to a three-way decision between Swann, Rashid and Samit Patel. Of those three, Rashid has had the better season for his county, but Swann has more international experience. Amongst the reasons given for Swann’s inclusion is the fact that he’s right-handed. That’s just silly. Also, his batting has been touted as a reason for his selection, but he’s probably a worse batsman than Rashid. The England selectors should probably be given the benefit of the doubt, but I reserve the right to say ‘I told you so’ at a later date.